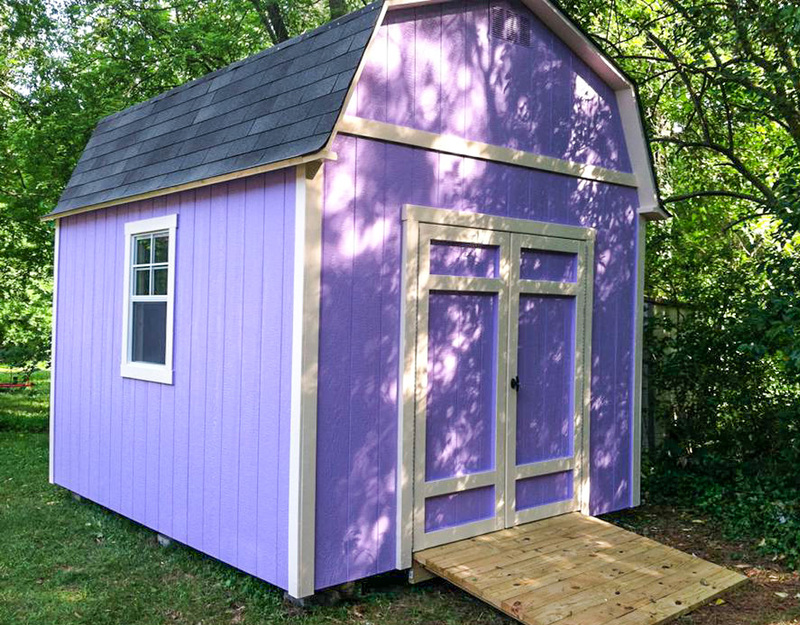 The Simple Shed is a great shed at a good value for someone on a budget. 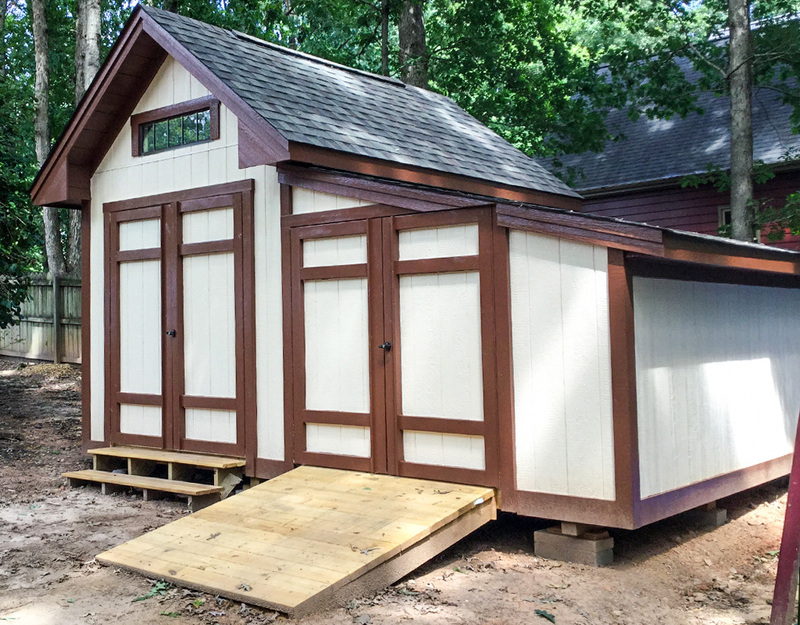 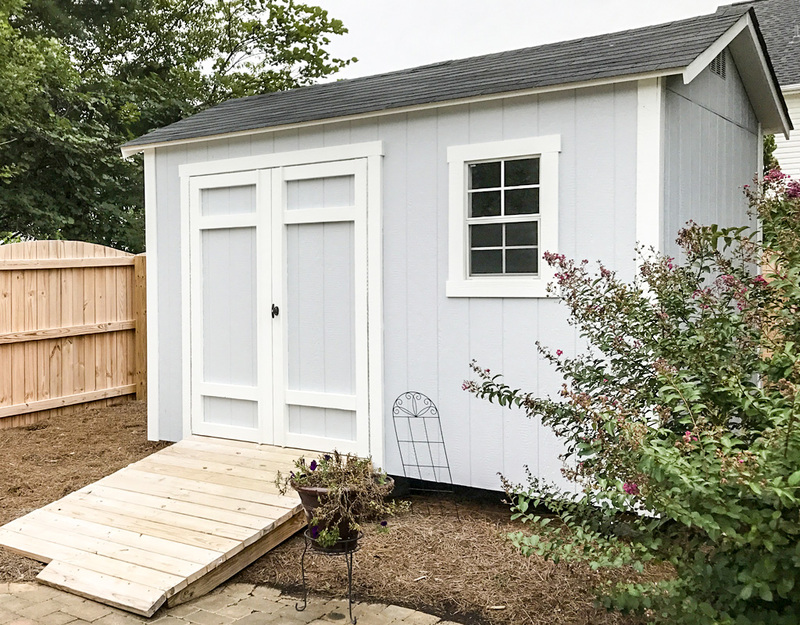 This shed has a sturdy floor with 3/4" plywood floor boards and 2x4 wall construction with 24" on center wall studs and concrete leveling blocks. 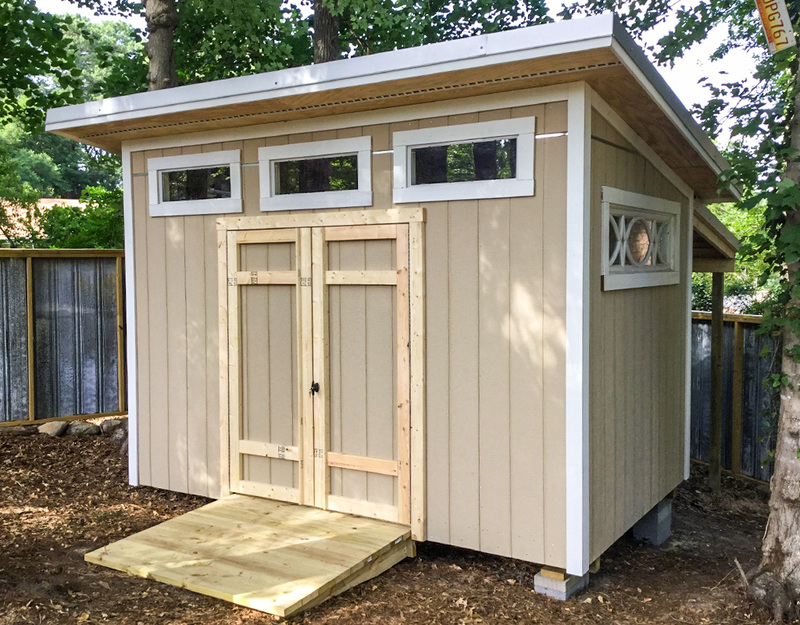 The sidewalls are built at a 6' height. 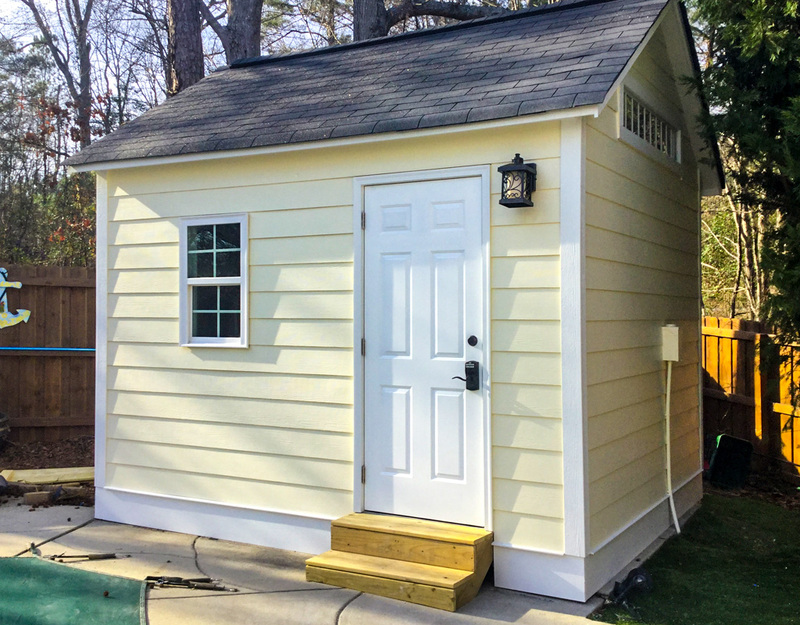 Door opening dimensions are 5'x6' with piano hinges and a keyed lock. 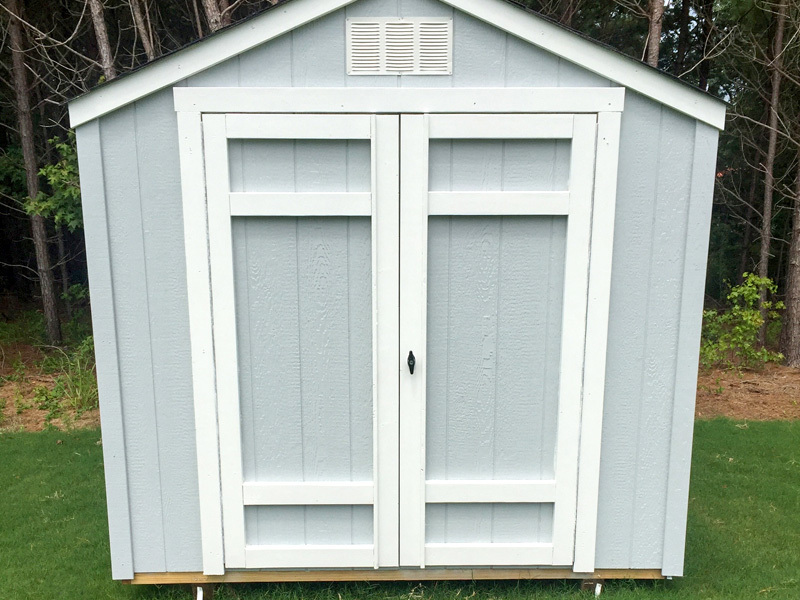 Includes shingled roof with a 25-year warranty on shingles. 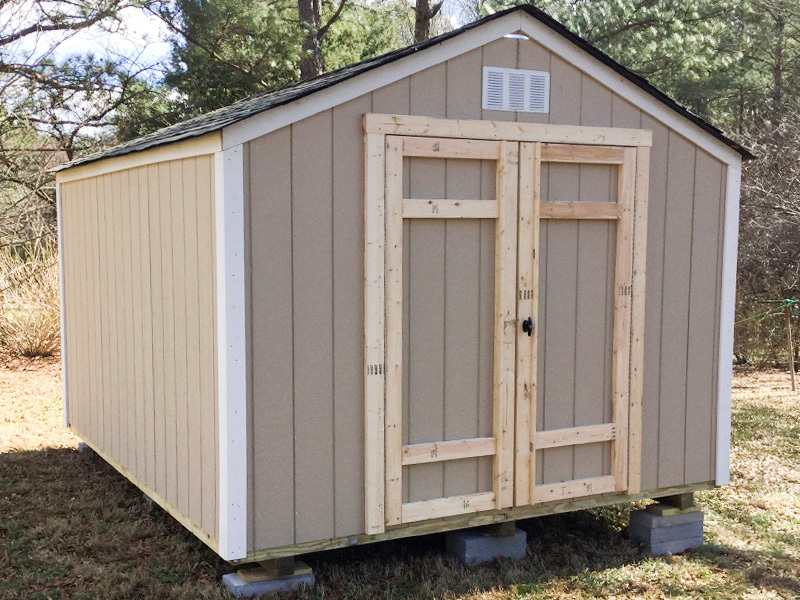 Also includes LP SmartSide with a 50-year warranty.